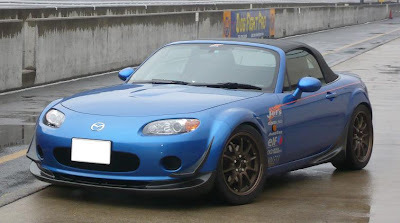 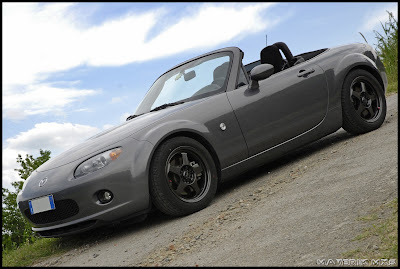 JDMbits: What Rota Wheels To Fit On My Mx5 NC! 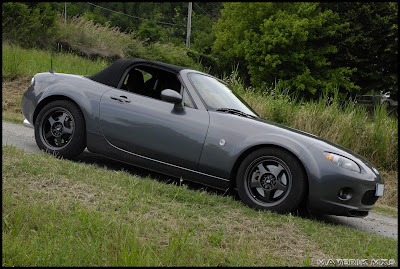 Mazda Mx5 Miata NC Mk3 Owners. What wheels should I fit to my Roadster? here are the available options right now. that will easily fit under the car without dramas. Wheels are 8x17ET35 with 10mm spacers in the back. 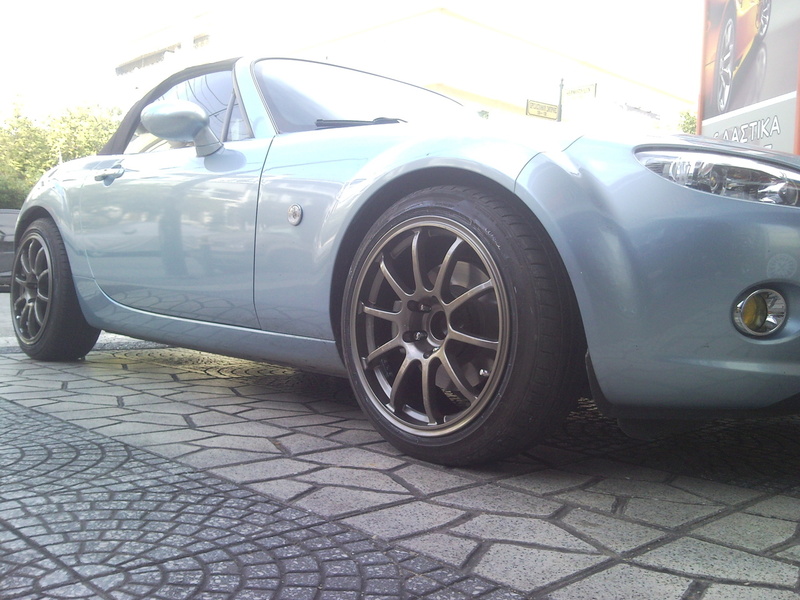 Tires are 205mm wide. 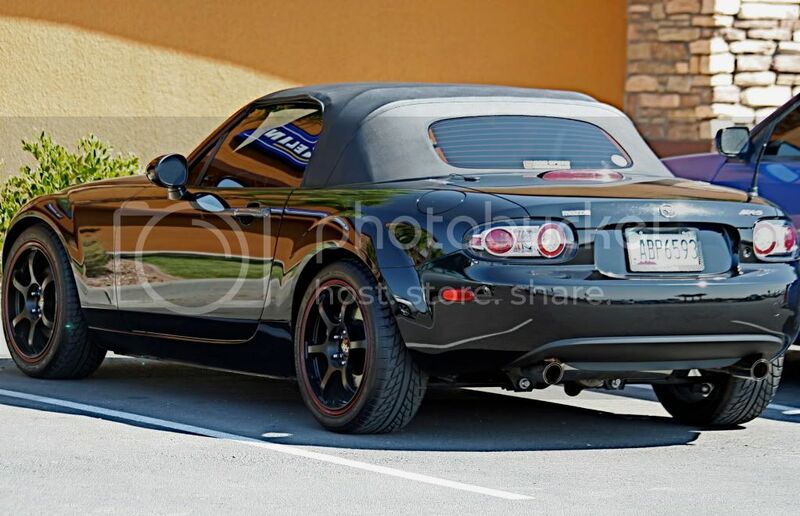 The only thing I've had to do is roll the rear fender lips (mostly due to the spacers). Are they Rota Torques on your car? 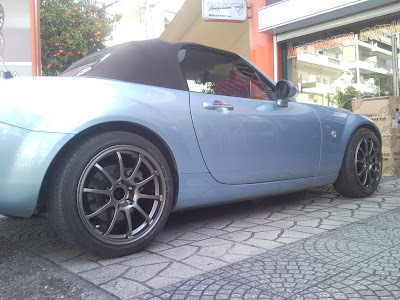 What size tyres are fitted to the third car? 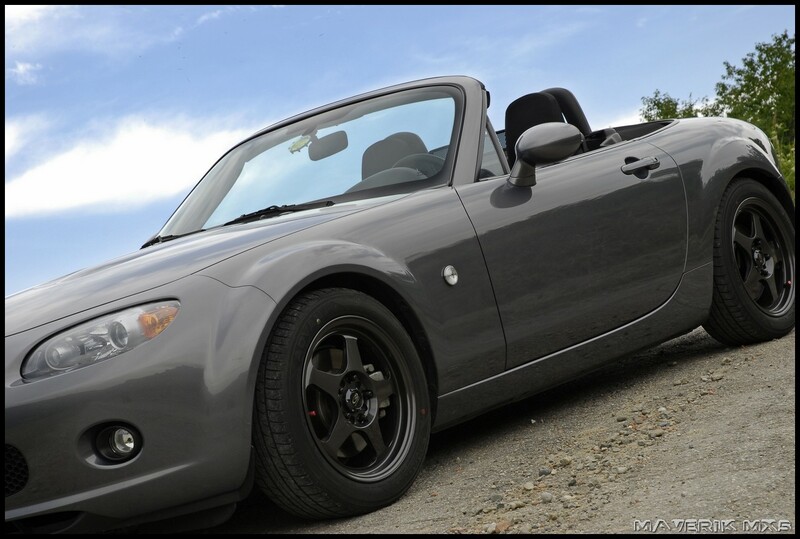 Looks boss.